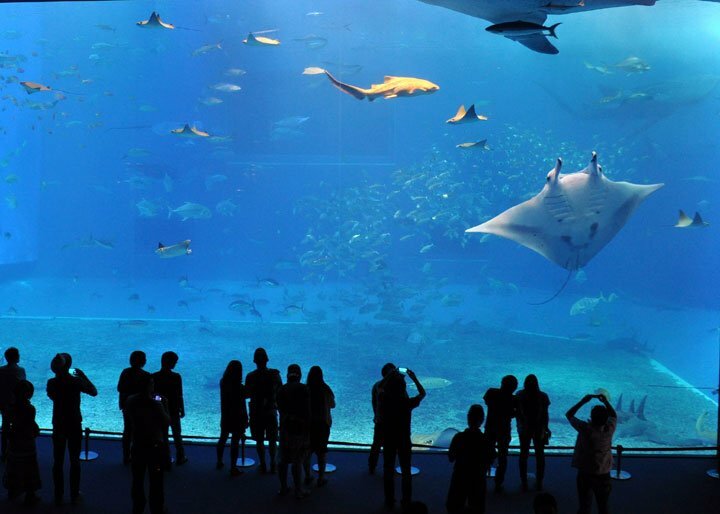 If you like aquariums, visiting this one needs to go on your bucket list. It is unlike anything you have ever seen before. 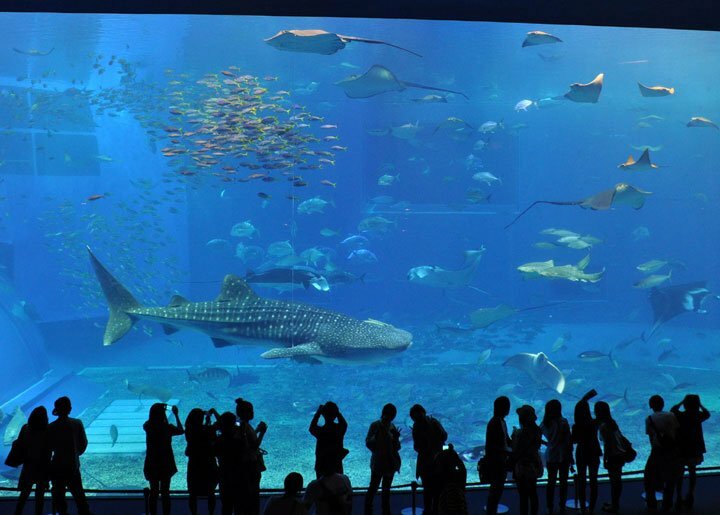 The Okinawa Churaumi Aquarium in Okinawa, Japan has the second largest aquarium tank in the world. Kuroshio Sea, the main tank, is 115 ft long, 89 ft wide, and 33 ft deep. 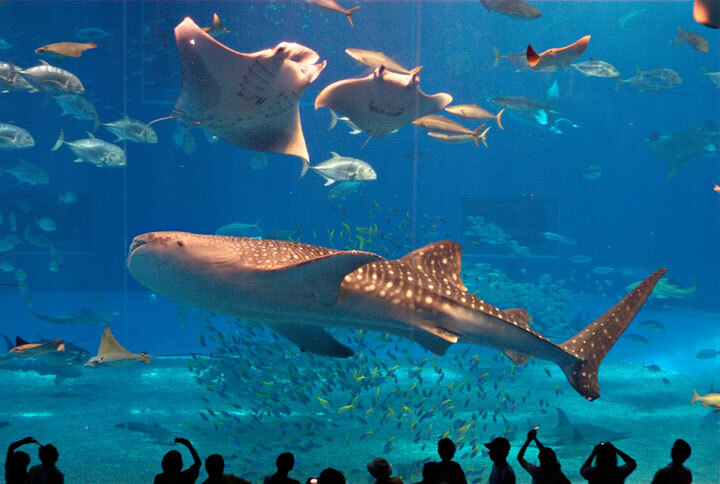 It is home to three whale sharks, each of which is at least 41.5 ft long and weighs 47,000 lbs. 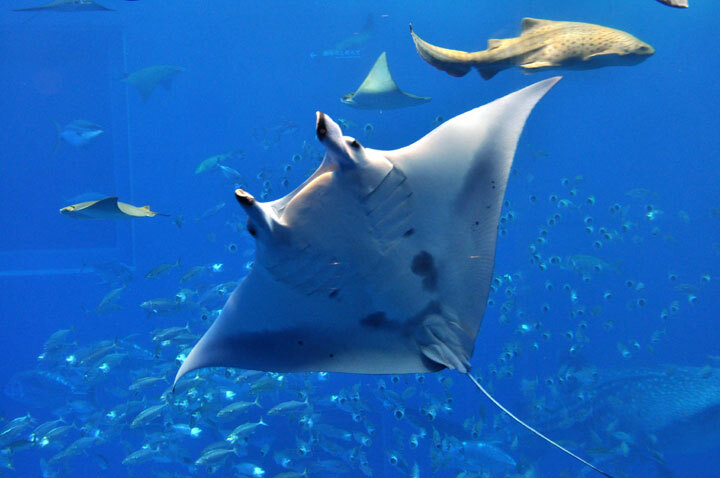 Manta rays, 80 different species of coral, and other types of fish share the space with the whale sharks, creating an underwater scene that parallels nature. 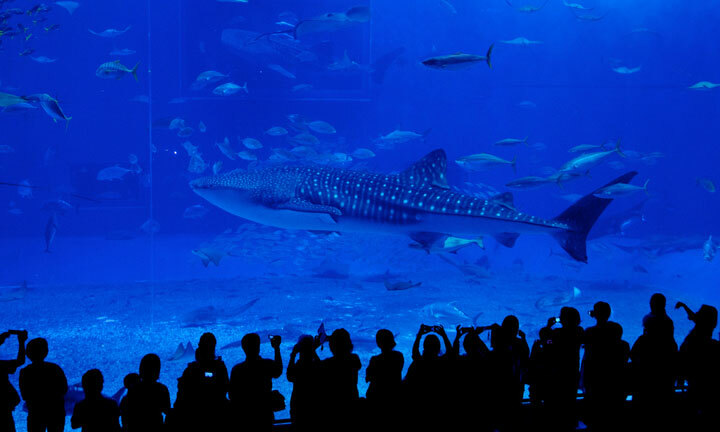 Whale sharks are the largest fish in the sea. Seeing their slow moving glide gives the illusion that you are viewing the tank in slow motion. Standing before the massive acrylic panel and watching the fish move together also makes you feel like you are inside the tank with them; it makes you feel like you are a part of nature. The magnitude of size, shape, and importance comes clear in the presence of these wonderful animals. 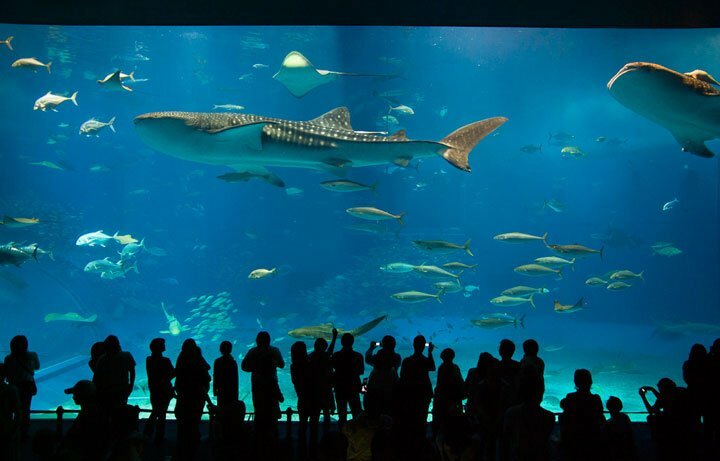 For aquatic enthusiasts, it’s a must see.